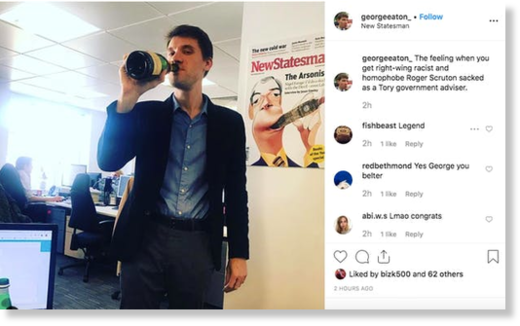 I recently gave an interview to the New Statesman, on the assumption that, as the magazine’s former wine critic I would be treated with respect, and that the journalist, George Eaton, was sincere in wanting to talk to me about my intellectual life. Not for the first time I am forced to acknowledge what a mistake it is to address young leftists as though they were responsible human beings. Here is my brief response to an unscrupulous collection of out of context remarks, some of them merely words designed to accuse me of thought-crimes, and to persuade the government that I am not fit to be chairman of the commission recently entrusted to me.